The mainstream media alleges that Russia was behind the hack of Hillary Clinton’s emails. The media is parading out the usual suspects alleged experts to back up this claim. Ray, I am suspicious that they may have looked for known hacking code (used by Russians). And, I’m sure they were one probably of many to hack her stuff. But, does that mean that they checked to see if others also hacked in? Further, do they have evidence that the Russians downloaded and later forwarded those emails to wikileaks? Seems to me that they need to answer those questions to be sure that their assertion is correct. Otherwise, HRC and her political activities are and I am sure have been prime targets for the Russians (as well as many others) but without intent of course. code that goes across the network is logged in the network log. This is where a little software could scan, analyze and find the intruders initially and then compile all the code sent by them to determine the type of attack. This is what we wanted to do back in 1991/92. The newest allegation tying the Clinton email hack to Russia seems to be all innuendo. 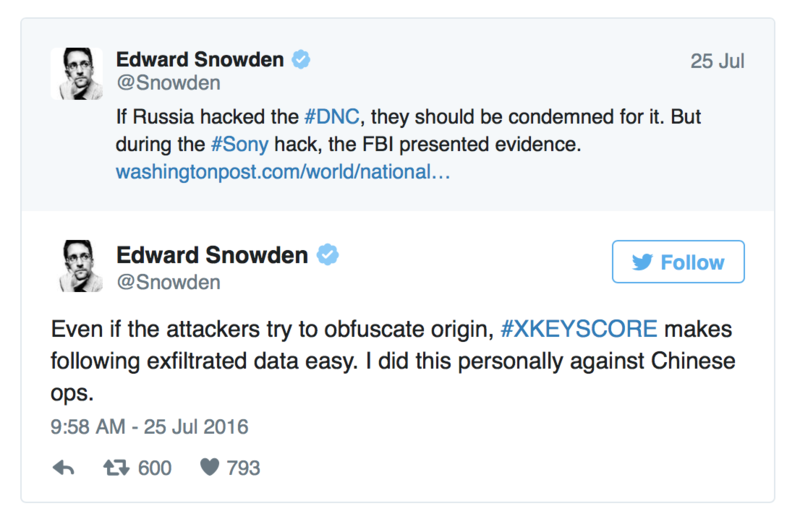 My problem is that they have not listed intruders or attempted intrusions to the DNC site. I suspect that’s because they did a quick and dirty look for known attacks. 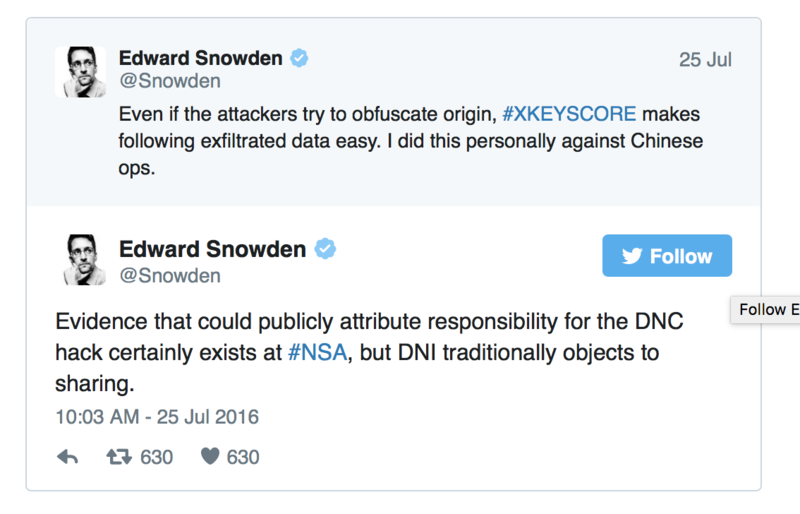 Of course, this brings up another question; if it’s a know attack, why did the DNC not have software to stop it? You can tell from the network log who is going into a site. I used that on networks that I had. I looked to see who came into my LAN, where they went, how long they stayed and what they did while in my network. Question is do they want to fix the problems with existing protection software. If the DNC and OPM are examples, then obviously, they don’t care to fix weakness probably because the want to use these weaknesses to their own advantage. Well, the mainstream narrative alleges that the Clinton emails are not important … and that it’s a conspiracy between Putin and Trump to make sure Trump – and not Clinton – is elected. For example, an allegation of hacking could literally lead to war. So we should be skeptical of such serious and potentially far-reaching allegations – which may be true or may be false – unless and until they are proven.